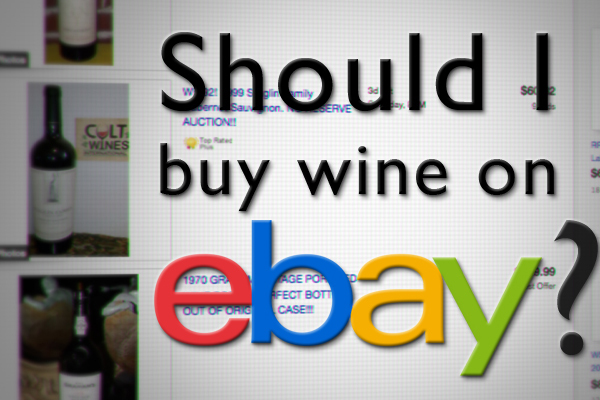 Ask Sid: Should I buy wine on eBay? Question: Should I buy wine on eBay? Answer: Topical question! As a lawyer I always approach any purchase of wine on the internet or at auction with the Latin phrase “caveat emptor” – let the buyer beware! I suggest you should too. It is somewhat similar to buying a used car. That obviously is a rather major expenditure but top wines with their expensive prices can be costly too. Ask yourself why is the seller getting rid of that car or that particular wine? Auction houses don’t really like 11 bottle lots because it infers that the seller tried one and didn’t like the case purchase and is dumping it. Now with so much proven counterfeit wine in the marketplace you have to be extra careful that first you are getting the genuine article. Watch out soon for the new documentary film on the Rudy Kurniawan ordeal. Even if it is an authentic wine you have to be concerned about “hot” storage (was it naturally stored outdoors in Death Valley, California?) and the amount of ullage (space between the cork or screw top and the liquid). Beware of leakage. Remember you are not having the opportunity to hold and examine the wine prior to purchase. Descriptions may not be accurate and any photos posted may not be current enough or detailed enough to alert you to any problem. If it is only 1 bottle and not much money involved it may be worth the adventure and the experience of “gambling” on line. That great buy you think you are getting may not be so endearing when you finally taste it. Once bought you also still have to hope you receive the alcoholic product and in the USA the state by state eligibility of the buyer. Have fun but be careful. I myself would prefer using one of the many online wine shops over eBay. Have you ever bought wine through eBay?